Fragile X syndrome (FXS) is a neuro-developmental disorder characterized by intellectual disabilities and autism spectrum disorders (ASD). 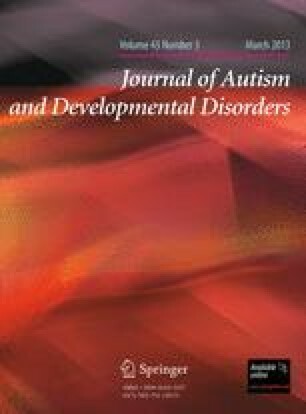 Expansion of a CGG trinucleotide repeat (>200 repeats) in the 5′UTR of the fragile X mental retardation gene, is the single most prevalent cause of cognitive disabilities. Several screening studies for FXS, among individuals with ID from different ethnic populations, have indicated that the prevalence of the syndrome varies between 0.5 and 16 %. Because the high co-morbidity with autism, we have conducted a screening study of the cohort from CHARGE, a large-scale, population-based, case control study. We have identified six subjects carrying an expanded allele, which emphasize the importance of screening for FXS in a population with intellectual disabilities and ASD. The online version of this article (doi: 10.1007/s10803-012-1580-2) contains supplementary material, which is available to authorized users. A particular thanks to the families participating in the CHARGE study. This work was supported by the National Institutes of Health [HD02274], matching funds for the CHARGE study, and by R01-ES015359, P01ES011269 from the National Institute of Environmental Health Sciences and Award Numbers R833292 and R829388 from the Environmental Protection Agency. The project described was also supported by the National Center for Research Resources, National lnstitutes of Health, through grant #UL1 RR024146. This work is dedicated to the memory of Matteo.